Simple form and function for light touring and just for commuting ride. 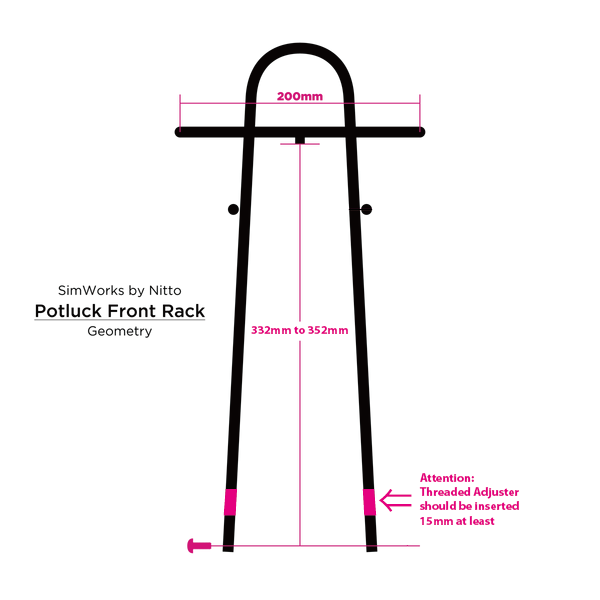 This front rack is designed and inspired from a ‘potluck party’ which you already know that people bring their own foods to. It features side bars for pannier bags and a bungee cord, and 6-pack sized compact table(200mm x 200mm square). The form itself matches with on the road rear carrier as well. Why don’t you put a fresh baked pie on it and let’s go for a potluck party before it gets cold!!! *Threaded Adjuster should be inserted 15mm at least. Attention: Use the rack within the maximum load capacity.When loading capacity is expanded by attaching a basket, it corresponds to "modifying" and will be out of warranty subject in case of failure.